New vs used, what should I buy? Selling at the end of your trip, what are your options? Am I Resident or Not? Don’t even think of setting off in your motorhome without any maps! Most of us are now somewhat dependent on GPS units or our phones for navigating to new destinations and they offer a very stress-free way to travel but don’t forget to bring a map too. 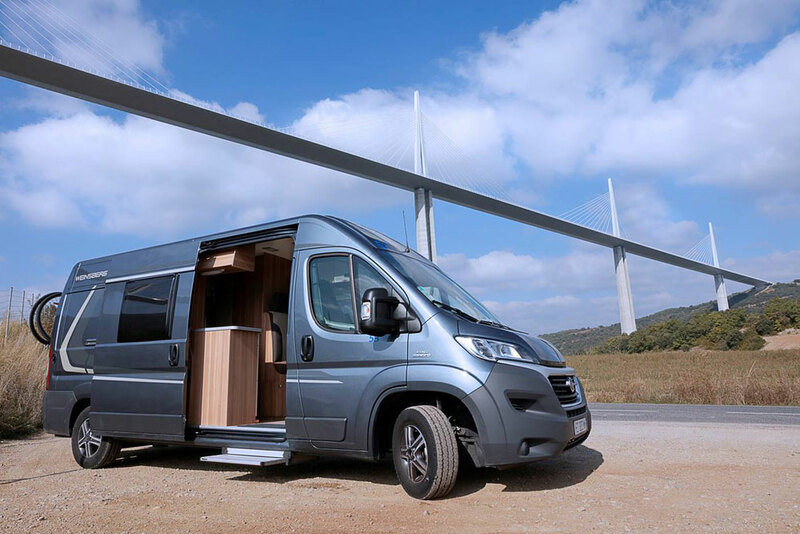 Make sure you have a map to avoid being under the Millau Viaduct when you wanted to be on it! In countries with thousands of years of history there are quite a few duplications when it comes to town names (there are five towns or villages called Chateauneuf in France for example) so it is a really good idea to look at a map before following your device just to make sure you have a vague idea which direction you should be heading in. A decent atlas will also show you which department (county) your destination is in and that will really help when identifying which of the Chateauneufs you are aiming for. 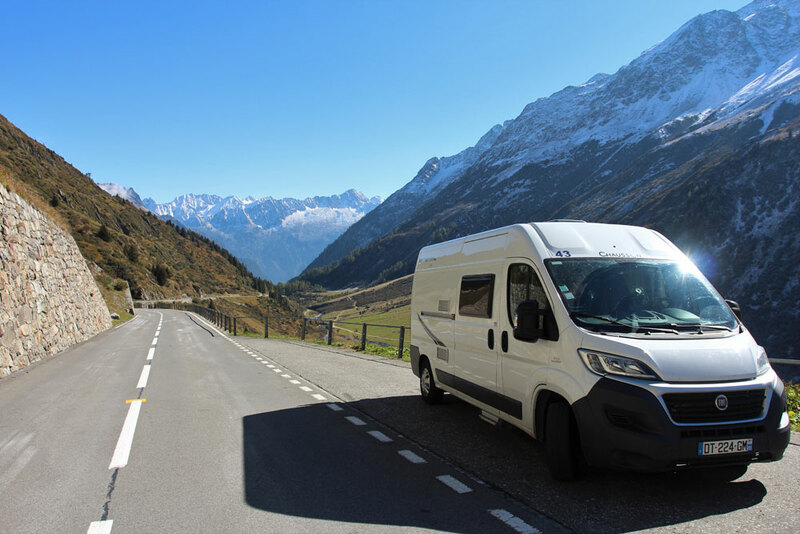 We offer GPS units to our campervan rental clients and the “Home” setting is always programmed to navigate back to our depot. One client hit “Home” on the last day of their trip to Brittany but some wag had changed “Home” to Budapest and they drove for a good three hours before discovering their long cut as they had no clue which direction they should be travelling in. Taking a quick look at a map would have greatly reduced the chances of this happening! For any country you plan to visit (and certainly the one you are starting your trip in), we suggest you buy both a single sheet map for route planning and a good atlas for more detailed planning. A good quality atlas will give you tons of useful information from identifying height restrictions to finding a lake for a swim on a hot day. You can see the size of any town at a glance, spot steep hills, see service stations on the autoroute, figure out detours when sitting in traffic and even identify outstanding view points to stop and enjoy. We are not averse to having every navigational aid known to man with you on your trip (indeed they are highly recommended for domestic harmony) but we reckon one in three of the devices our clients arrive with do not work as expected. Don’t arrive without a map which will never suffer a technical hitch or fail to find the satellite so you can at least set off in the right direction. Finally, do take a moment to find your patient, inner self before you embark upon a journey through a foreign land in an unfamiliar vehicle on unfamiliar roads and allow time for getting lost because you will. If you are doing most of the driving and your other half is doing most of the navigating, always blame the GPS for errors and never be tempted to utter unhelpful words such as “How the hell should I know, you are the one with the map”, no matter how lost you become. Please call to ensure your chosen vehicles are available to view. What other costs I should budget for when planning my trip? How does the vehicle registration scheme work in practice and what does it cost? Blog > Advice / How To > Don’t even think of setting off in your motorhome without any maps!